After several years of development, and the help of many dedicated XJ enthusiasts, we are proud to announce the release of our BWE Comp Mount! Combining two components, the Comp Mount is a hidden winch mount and sector shaft style steering brace all rolled into one. 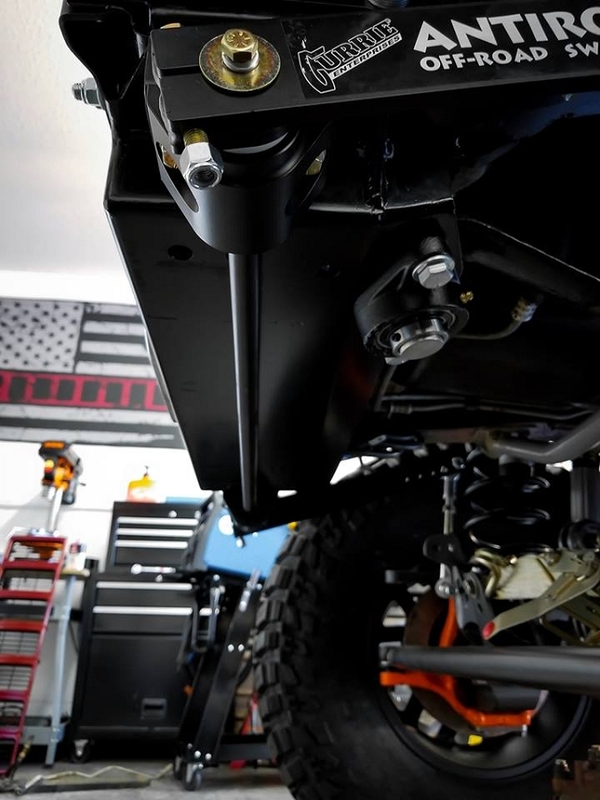 Designed around the Warn 8000lb series winches, the mount tucks the winch back under the radiator and fans in order to obtain the highest amount of clearance. Doing so also helps substantially lower the center of gravity compared to a bumper mounted winch. With winches sometimes weighing close to 100lbs, the lower it can be mounted while maintaining it's effectiveness will do wonders for off camber stability. Mounting the winch in this location also allows the use of a factory bumper if you want to keep the stock Cherokee look, while also keeping the winch out of harms way. Worrying about getting your winch stolen will be a thing of the past, while also helping to keep the winch in good shape by allowing the bumper to do it's job of blocking weather and road debris. Protect that Investment! (Note: Aluminum fairlead shown. A Black UHMW is included in the kit. Anti-Rock adapter kit sold seperately). Considering the fact that a sector shaft style steering brace is perhaps one of the best modifications you can do to your Cherokee, we made it an essential part of the Comp Mount's design. Using the same high-strength sector nut and pillow bearing as used in our Ultimate Steering Brace, the Comp Mount effectively puts the sector shaft in double sheer. A lot of rebuilt (and even OEM) steering boxes utilize a bronze bushing as a lower "bearing" support for the sector shaft. Because of this, adding our large pillow bearing design will greatly improve steering feel as well as the durability of the box itself. Not only does this help improve steering feel and durability, but it will also prevent the all-to common chassis cracks from forming around the steering box. This is simply due to the fact that the steering box is no longer allowed to twist and pull on the chassis. 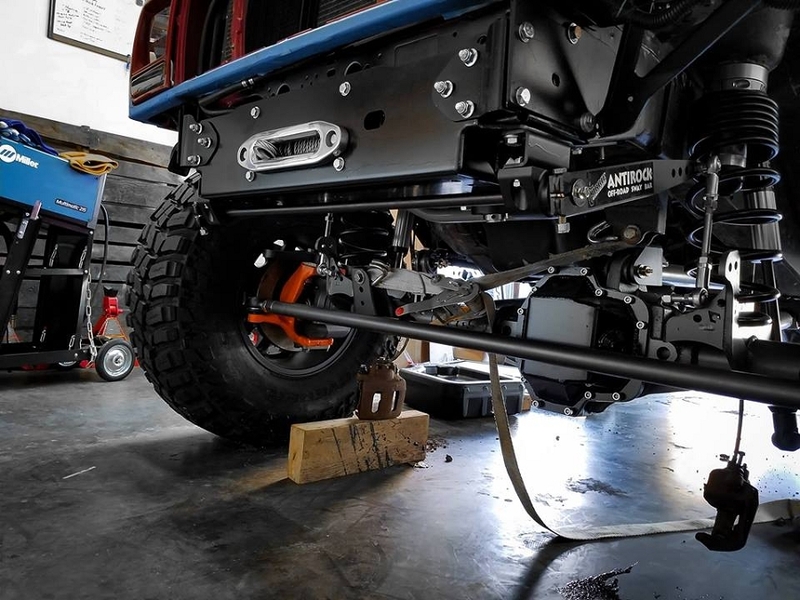 Combined with a good track bar bracket and brace setup (Rubicon Express offers a great solution), your XJ will not only feel so much better to drive but will also be immensely more durable. While some cutting, drilling and grinding of the chassis is required for installation, our full-color instructions make the process a piece of cake. The mounting points are all adjustable to allow for variations in the chassis, winch position, and choice of steering box. 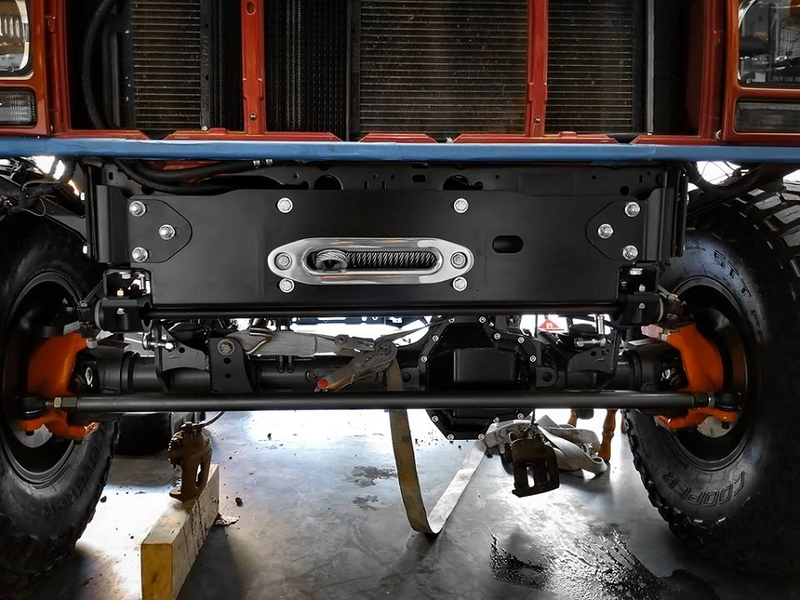 For final installation, you will pre-install your winch into the Comp Mount and then simply raise it up to the chassis to bolt it on (using a transmission jack makes the job painless!). 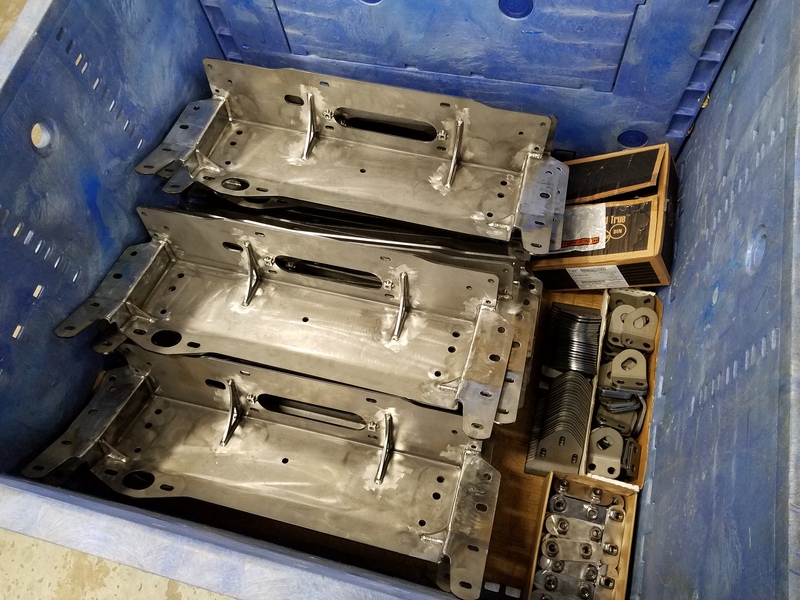 The Comp Mounts are manufactured from 3/16" and 10ga laser cut plate and then carefully formed on a CNC press brake. Each unit is then welded in a specific JIG to maintain the accuracy of the fit-up. After welding, they get thoroughly cleaned and inspected before heading off to our powder-coater. There, each unit receives a hot phosphate dip in order to clean and etch the metal before receiving a zinc-rich primer coat. Once primed, the mounts receive a final heavy duty black hammer-tone top coat to keep them looking good for years to come. After powder coat, each unit is carefully inspected, wrapped and boxed up with the remaining components. 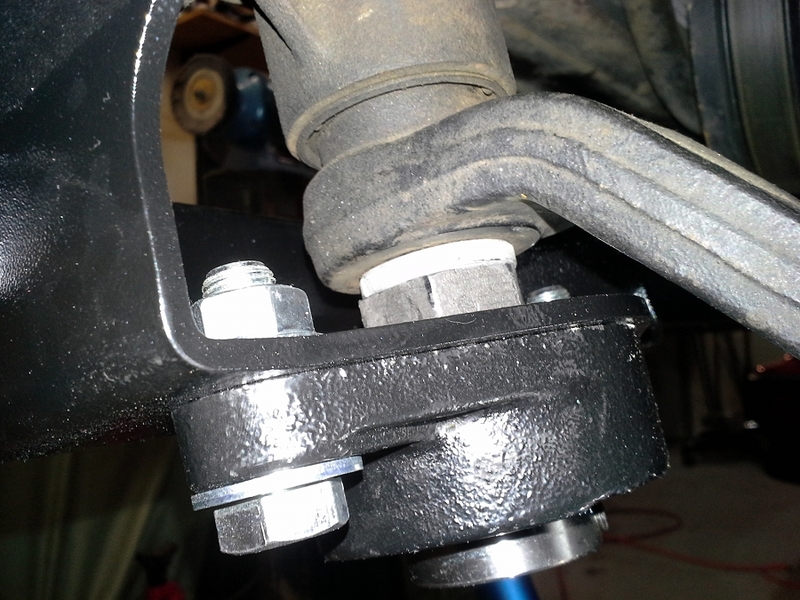 - 2 replaceable tie down/recovery brackets (currently will not work with Currie's Anti-Rock SB). - High quality 1-1/4" grease-able and self-centering pillow bearing. 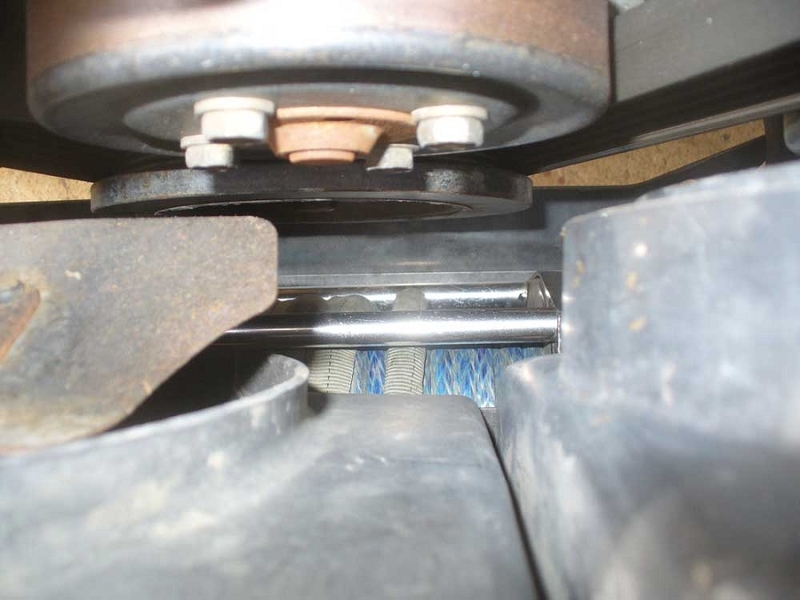 *While the UHMW fairlead will work with steel cable, heavy use will eventually gouge the plastic. However, this will not damage the cable like an aluminum fairlead. If you want a more durable option to use with your steel cable, BW highly recommends using the Warn's cast iron piece (PN: 73850).